On the 11th of May, we took to the old Truman Brewery and joined the mass of incredible brands at Balance Festival. 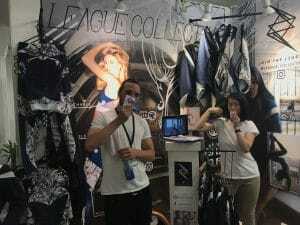 It was a great time for us and the first time we took our entire collection to market in the midst of where we want to be; the health and wellness industry combined! You guys! On top of our clothes being sustainable with 100% recycled fabrics, we love hearing your feedback and what you have to say about it! 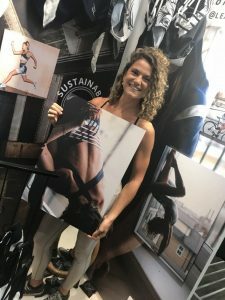 Being part of Balance was a great honour as we were lucky enough to meet so many of you who stopped and had long chats with us about what you are up to, your goals, and what you look for when you buy sportswear and why you buy it. 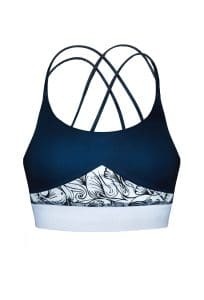 It was so great to hear how happy so many of you were that you can now find well made – feminine in look and cut sportswear, that is sustainable. We are happy to be a part of a movement that so many of you believe in! Living in this day and age, online interaction with our customers is so important, however, the face to face value of meeting you means so much more. We love to hear what you have to say, and being part of the physical wellness movement is what we’re all about. Although we create clothing, we go so much further than that, and since our wellness retreat in Mallorca in May, we can’t wait for the next two we will be running in September and October, as well as events every single week in July where we will have the opportunity to be more involved with you – running classes, yoga events, and joining you at Festivals. Balance festival marked the first of that, and it was brilliant to be there and we can’t wait for the rest! We’re right where we’re supposed to be. Times are changing, and so are you! Knowing that you care about the environment as much as we do was a big pat on the back – so let’s continue! Balance Festival was our first big industry event and it was so exciting and so valuable for us being there when people tried on our clothes and seeing first hand how they fit. We have a range of different sizes in each piece, and with so many different beautiful body shapes, being at Balance festival was very informative towards how we can improve the fit and shape, even more, to make it perfect!. From receiving back our final production samples the week before, we realised after Balance that there was so much more we want to add to the garments. 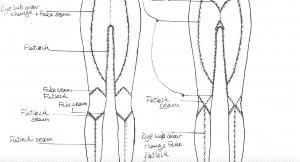 We don’t do mediocre and need to know that what we are making is worth your time as well as ours… Some of the sizes and some of the fits need slightly changing, as we are determined to hand you a perfectly fitting garment. This business is an education in itself, and we believe that any successful business should be continuously learning which means bettering ourselves…Knowledge is power, and the right knowledge is powerful enough to change an industry and the planet if we so choose… otherwise we get too big too fast in the wrong direction, and become generally destructive. As well as our Fabric being sustainable, the fit of our garment is just as important, as otherwise it is not fit for purpose. A few more weeks! Since balance festival, we are taking out a few more weeks to get the patterns spot on. Getting it right the first time sets the mark for the rest our journey and we want to be at the top of our game. Due to this, we have a little more development time in the works, and we can’t wait to show you it! What can we get you excited about? Whether you are a small, medium or large, you can get geared up for some of the most well-fitting garments you can imagine. This has been a try and try again journey for 2 years, and we have finally nailed it! UK made clothes to the highest standard, with a whole load of knowledge and understanding of where we are going next and what you can expect from us.